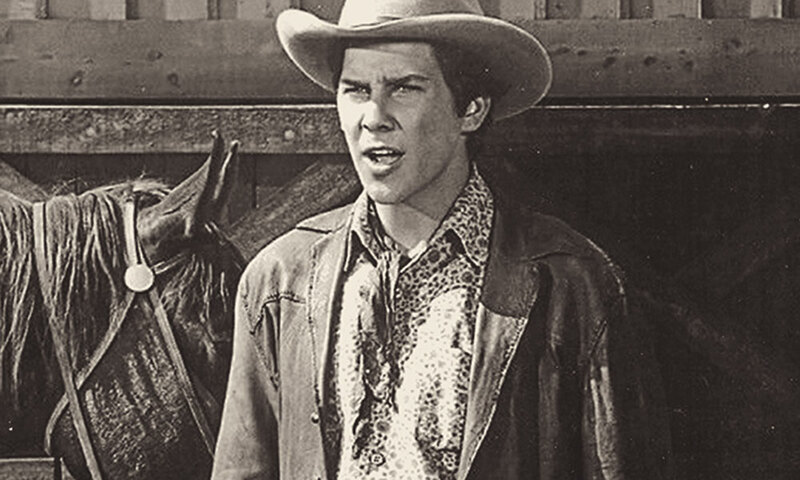 Tim Matheson got his start in Westerns when he joined The Virginian cast in its eighth season as Jim Horn. Despite 183 acting credits, two Emmy nominations and no signs of slowing down, the suave and funny actor Tim Matheson will be forever remembered as Otter the ladies man in 1978’s Animal House. 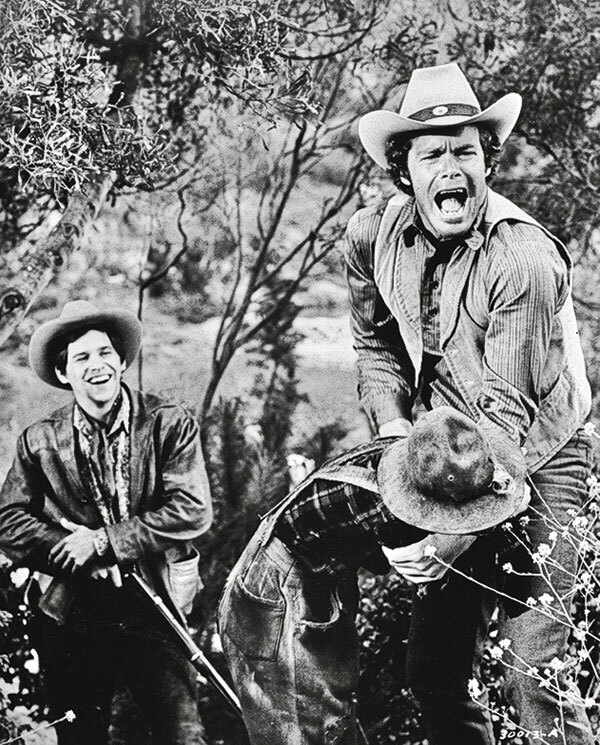 Yet he already occupied a unique position in television: when a Western series needed new blood, Matheson was the transfusion. “Either that,” he concedes modestly, “or you can blame me for killing the Western. I was on The Virginian the last year. And then went into Bonanza [the last year]. He had knowledge of horses because, in Burbank, California, “I used to work in the kennels and get free riding lessons,” he says. After getting his first acting job when he was in eighth grade, Matheson broke into Westerns via a cop show. “I got a guest-starring role in an episode of Adam-12. I played a young Southern boy who was high on LSD and stole a horse because he was going to ride back to Texas. I think I did a credible Southern accent. “All of a sudden, I got a call saying that they would like me as a regular on The Virginian. I had not met anybody, had no audition. They liked what I did. 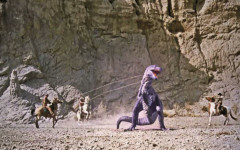 While working on his first Western The Virginian, Tim Matheson (at left) got more screen time thanks to Doug McClure (at right). Matheson had made his mark just in time. “We finished shooting the season, and I literally read in the trades that I was no longer in the show,” he says. Bonanza needed help in 1972. Not only had Dan “Hoss” Blocker suddenly died; the show’s ratings had fallen and Chevrolet had dropped its sponsorship. Matheson, who played a prison parolee who Pa (Lorne Greene) takes in, got off to a rough start. “I got into a jam with Michael Landon before I’d even started on the show,” he says. After Bonanza came The Quest, a TV take on 1956’s The Searchers, with Matheson and Kurt Russell as brothers searching for their sister, a hostage held by Cheyennes. 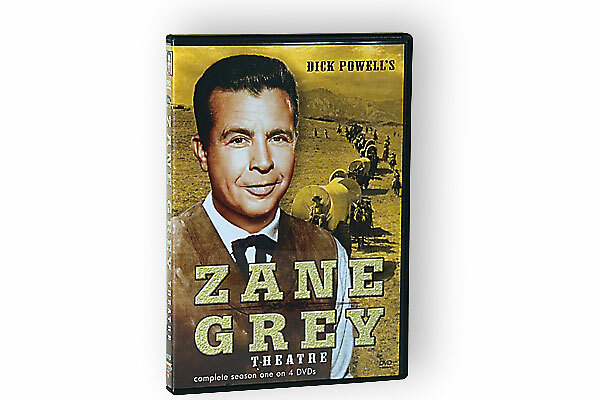 Handsomely produced in Arizona in 1976, the movie and its 15 episodes are among the best Western television nobody watched. Today, you can catch it on YouTube. 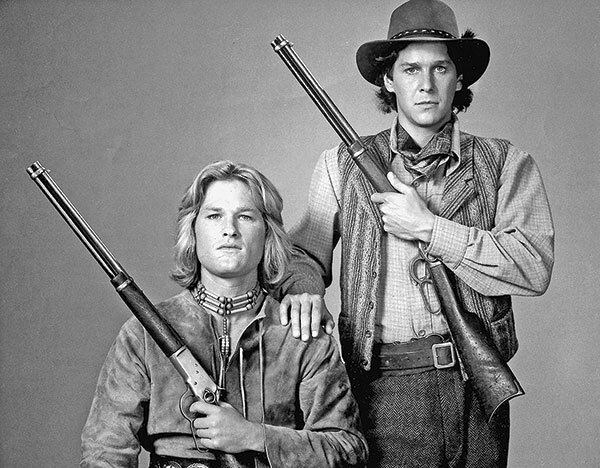 Tim Matheson stands next to Kurt Russell as the stars for NBC’s action-packed The Quest, about two brothers searching the frontier for their sister, who was being held captive by Cheyennes. Then came Animal House, a comedy hit in which he starred as one of the frat brother misfits. He’s acted a variety of roles since, including the one that earned him Emmy nods, Vice President John Hoynes, on NBC’s critically acclaimed West Wing series. Would Matheson act in another Western? “Absolutely. My fondness and love of the Western, I think I learned it from Landon. It was a sense of family. It was hanging out with those wranglers,” he says.